China, which produces more than 90 percent of the world’s rare earth metals, needs to control exports of the minerals to protect natural resources and cut pollution, said the Chinese Society of Rare Earths. Rare-earth prices have surged as much as sevenfold as China in July reduced its second-half export quota by 72 percent to ensure domestic supply of the mineral used in laptops, missile- guidance systems and hybrid cars. The cuts have spurred companies including Glencore International AG and Molycorp Inc. to plan to restart and develop mines outside of China. China will strictly control the export-quota management systems for rare-earths and phosphorite, the Ministry of Commerce said today in two separate statements on its website. Companies who violate environmental and industry laws will have their export licenses revoked, the ministry said. China’s export curbs have spurred a trade dispute with the U.S. and raised tensions with Japan and Germany, who are concerned about a lack of supply of the minerals needed in alternative energy and other high-technology industries. China pledged last month to maintain supply. Sojitz Corp., a privately held trading house that imports the bulk of Japan’s rare earth requirements, said shipments from China have been disrupted since September. “We are not aware of a resumption of shipments of rare earths from China to Japan,” company spokesman Yoshihide Toh said by phone from Tokyo today. The company plans to begin importing rare earth from Vietnam in 2012 to diversify its sources. 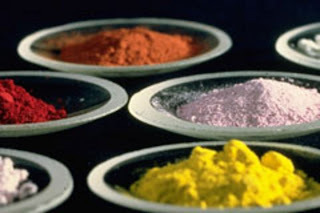 China’s Ministry of Commerce in September denied imposing a ban on exports to Japan, the world’s biggest user of rare earth metals. For the full-year, China cut the export quota by 40 percent to 30,258 tons, Chen said. Chinese customs have stepped up scrutiny over the shipments to cut smuggling, which accounts for 20 percent to 30 percent of China’s total production, he said. Japan’s stockpiles of rare earths may run out as early as March, Agence France-Presse cited Yoshikatsu Nakayama, vice minister of economy trade and industry, as saying on Oct. 21. Watanable also said that Japan has been slowly reducing its usage of dysprosium in magnets over the past three years after china, the major source of the element, started cutting exports. Japan Oil, Gas and Metals National Corp. will offer financial support if domestic companies invest in rare earth mines, such as Lynas Corp.’s Mt. Weld project and Molycorp Inc.’s Mountain Pass mine, said Toshihiko Hayashi, director general of the state-owned agency’s metal exploration division. More than 10 trading houses and parts makers are interested in joining overseas projects, he said, without naming companies. The world’s major users of rare earths probably have stockpiles enough for three-to-five years’ consumption, as they bought the minerals when prices fell to as low as $5.5 a kilogram in 2001-2005, Chen said, citing his own estimate. Improper treatment during mining and refining of rare earths can lead to leakage of radioactive elements, including thorium and fluorine, which may cause cancers and osteoporosis, Chen said. There have been reports of such cases near rare-earth plants in northern China, he said.